It can get annoying pretty quickly if you find dog hair all over your couch just when you’re about to lounge there with a bowl of popcorn for a movie binge. Our pets are adorable. Pet hair? Not so much. Plus, dogs have a stinky odor at times which can soak in your suede or leather couch material and give off an intolerable, nasty wet-dog smell every time you sit on it. 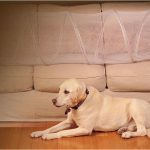 In this dog training guide, we deal with the issues of how to keep dog off couch in simple and effective ways. Why do you not want your furry pets to reside on your sofa? 1. Dogs shed a lot of hair daily. Some breeds with shaggy coats shed a lot more than others. Cleaning up pet hair from a couch is a very time-consuming, work-intensive task that has to be performed daily, just to make that furniture habitable. 2. When guests come over and your dog refuses to leave the couch or chair in the living room, it gets really embarrassing for you. You come off as a dog owner that doesn’t know how to train your own pet to behave properly and stay off off furniture. 3. If your friendly canines are allowed to lounge on your furniture regularly, they might develop what is known as ‘location guarding’, which is an aggressive fog behavior pattern. Simply put, if you try to remove your dog from the couch, he might snap at you, or growl or bark temperamentally. You might need a dog specialist to work through this phase of your furry pet. Now, whatever reasons you may have for not wanting to share your lounging space with a hairless, at-times-smelly but very affectionate creature, we are not judging you. It is your prerogative. But we will help you fix this super annoying dog behavior with our simple, easy and effective strategies which have been tried and tested for pet behavior altering success. If your floor is all ceramic without a floor pillow or seat cushion in sight, don’t be surprised if your pet loves napping on your couch all the time. Dogs may have a furry exterior, but they need the softness and warmth of a pillow or two to nap, lounge or play. Get your dog the best bed money can buy, or DIY old clothes or pillows into a super soft bed for him so that he stays far away from your precious sofa. Picture this: you are hungry, your adorable canine is hungry. So, you get his bowl and your plate and dump both things around the couch. He chomps on the food while you watch your favorite telly shows. And next thing you know, your furry pet jumps on top of the couch, with crumbs falling everywhere, and decides to snuggle next to you for a quick nap. Don’t like the above scenario? Then keep all food well away from your furniture. Let your pet know its limits. This is should be the last resort, not the first. If things are at the extreme, and you just cannot bear another day of dog drool and stinky odours from your couch, along with the gross layers of pet hair, then go for a safe, painless dog training collar. But follow the guidelines for dog training to the letter. The object is not having a dog lounging on your furniture, not hurting it or terrifying it to succeed in your goal. The most efficient way to training your dog to stay off your couch is to never permit him to get on top of it in the first place. Dogs are basically creatures of habit and if you allow them to get comfortable in your sofa because you feel bad for him one wet afternoon, he will accept that place to be ‘dog-friendly’ and start staying there for hours. Just make sure you make your four-legged pet understand the fact that the couch is completely off-limits to him. Train your dog to respond to treats as a way of motivating it towards good behavior. Teach him what is right and what is wrong and every time he does something correctly, give him his favorite treats to inspire him to repeat that behavior. Allow your our dig on the couch as a reward for eating all his dinner, or lying down quietly when you settle down for some television time. 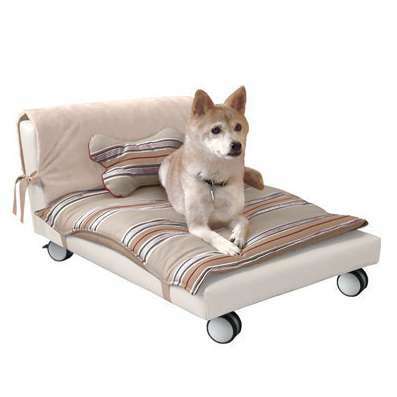 This ensures that your furry pal will understand that the couch is only allowed when his ow invites him on it. The concept here is not withholding things or food from him, but rather enforcing good behavior and encouraging politeness. This could also lead to training your canine for various other things in exchange for treats and snuggles with you. Simple, easy and very effective. Take some light-weight chairs and put them on the furniture before you leave your home, so that your pet doesn’t cozy up there the moment you leave house. You can even use a booby trap and place a pyramid of empty soda cans on your couch to dissuade your canine from jumping on top. There is even a high-tech shrieking alarm in the firm if a pad which when placed on the couch will make a shrieking noise as your dog steps on it. It’s called Sofa SaverTM. Just make sure you’re around to confirm your dog and not let him be traumatised by it! In a house with various dogs, narrowing down your suspects is crucial in finding out which dog is responsible for the nefarious couch-trading behaviour. It is easily mistakenly believed that the youngest or the newest dog is responsible for these behaviours. You can play Sherlock by locking all dogs in their crates every day and watch out for pet hair later on you know who your couch culprit it. Your dog is like a family member. Treat it wisely and don’t ever threaten or use force to make it see sense in not getting on your furniture as that NEVER works. Dogs are sensitive and do not respond to upsetting behavior positively. So, encourage your adorable pet with delicious treats and soft words to not hound your couch and leave it well alone!